I really enjoyed this well-written story! Adele and Drew are endearing characters who bear responsibility for their family’s well-being, causing them to endeavor to seek financial gain. The story that unfolds is an engaging one of history and romance and is filled with surprising events that held my attention. 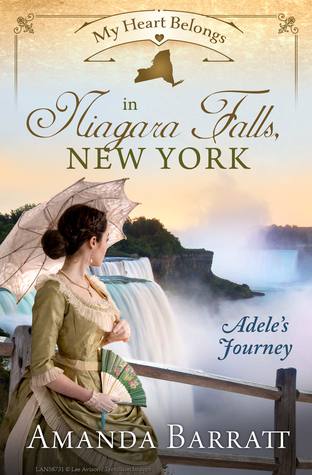 My Heart Belongs in Niagara Falls, New York is a charming tale, and I look forward to reading more from Amanda Barratt. Learn more about My Heart Belongs in Niagara Falls, New York. 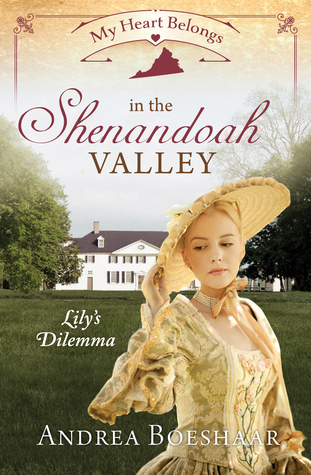 My Heart Belongs in the Shenandoah Valley is a lovely tale! Boeshaar brings this unique destination to life, along with the characters who reside there, and I delighted in the vivid descriptions and historical details found in their story. Lillyanna Laughlin finds herself in quite a predicament, facing the possibility of a forced marriage. When McAlister Albright arrives unexpectedly on Lily’s land, a friendship soon begins and a new path unfolds. Brimming with heartfelt emotion, I thoroughly enjoyed Lily and Mac’s journey! Captain McAlister “Mac” Albright has purchased land in the Shenandoah Valley. However, the land belongs to Lillyanna Laughlin—or so she erroneously thinks. Mac sets her straight about current laws, and despite a poor start, the two are becoming friends. Then, while Mac is away on business, Lily is faced with the impossible decision of marrying a man twice her age or she and her brothers becoming homeless, as her late father gambled away their home and acreage. But with debts being called in, will Lily be forced to choose a loveless marriage just when she is discovering what true love could be? What can she possibly do? Will Mac return in time to spare Lily a lifetime of unhappiness? Born into a life of hard work, English housemaid Annie Wood arrives in New York City in 1911 with her wealthy mistress. Wide-eyed with the possibilities America has to offer, Annie wonders if there’s more for her than a life of service. Annie chooses to risk everything, taps into courage she never knew she had, and goes off on her own, finding employment in the sewing department at Macy’s. While at Macy’s Annie catches the eye of a salesman at the Butterick Pattern Company. Through determination, hard work, and God’s leading, Annie discovers a hidden gift: she is a talented fashion designer—a pattern artist of the highest degree. As she runs from ghosts of the past and focuses on the future, Annie enters a creative world that takes her to the fashion houses of Paris and into a life of adventure, purpose, and love. 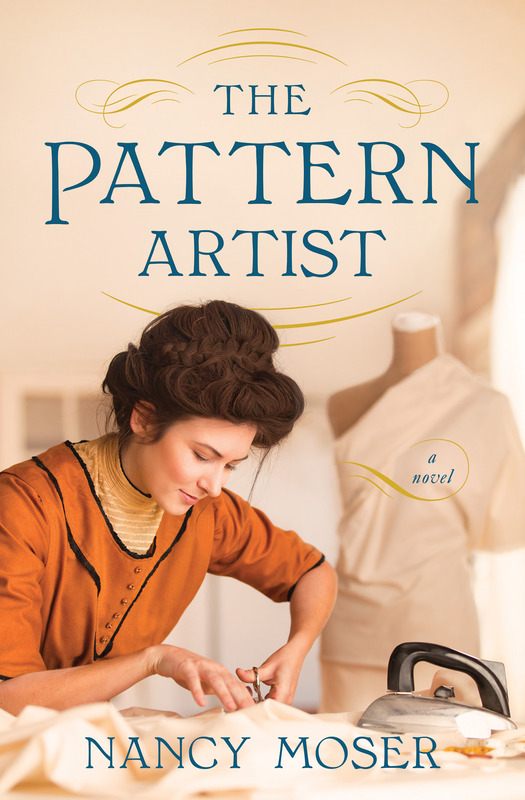 Boasting wonderful characterization and a fascinating story line, The Pattern Artist captivated me from beginning to end! I loved experiencing Annie’s journey out of her life as an English servant and into living her American dream. I also delighted in the notable historical events that are deftly woven through the fabric of this compelling novel. Alive with imagery and emotion, The Pattern Artist is a beautiful story! Sarah Rodriguez experienced more loss and heartache in a short period of time than most people will endure in a lifetime. Infertility. Miscarriage. Her husband Joel’s cancer diagnosis (not once, but twice). Her husband’s death. Her two-week-old baby girl in a fight for her life. . . And still, Sarah clung to her faith. From Depths We Rise is a miraculous story of hope and overcoming. Sarah’s is a journey of beauty from ashes, of marching toward purpose out of the pain. Her awe-inspiring story will encourage you to grasp tightly to your faith and to rise above even the most daunting of circumstances. From Depths We Rise is an extraordinary story! 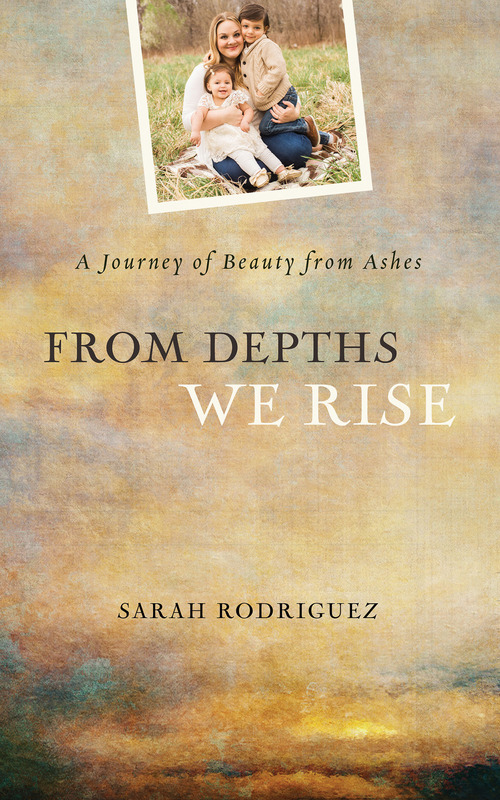 Sarah Rodriguez has experienced unfathomable suffering and loss, and her journey through this heartache and pain is one of “beauty from ashes”. “What I have to share will hopefully make you laugh-it might even make you cry-but I pray it leaves you filled with hope, because even as the story ends it is really just beginning.” Sarah’s faith is inspiring and her candid story is sure to touch all who read it. Heartrending and hope-filled, From Depths We Rise is a book not soon to be forgotten! I received a complimentary copy of this book from Barbour Publishing. All thoughts expressed are my own. When Courtney Westlake’s family was given the shocking news that their daughter, Brenna, was born in 2011 with a severe, life-threatening skin disorder, they began to discover a new and different beautiful in their lives–one that values extraordinary differences and appreciates the wonderful sameness found in humanity. In A Different Beautiful, Courtney explores what her family has discovered in raising a child with physical differences and what she has learned about true beauty. Through her personal insights and experiences, Courtney shares how you, too, can learn to find and celebrate God’s version of beautiful in your life, especially within our differences and struggles. In the pages of this book, Courtney details ways to discover, appreciate, and celebrate beauty. I was moved by Courtney’s powerful words and inspired by the wisdom she shared. 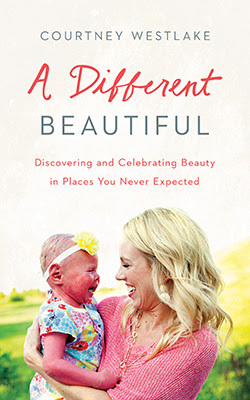 “When we can see the beautiful in the unexpected, we learn to find joy and celebration in what is, instead of mourning what isn’t.” A Different Beautiful is sure to touch the hearts of all who read it!